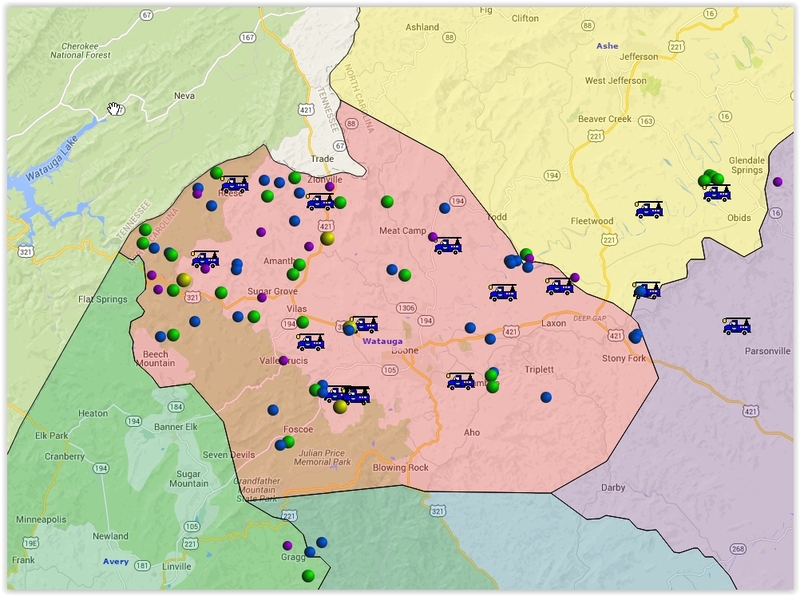 8:09pm Monday July 11 – According to the Blue Ridge Electric outage map, after roughly 70 hours there are no power outages in Watauga County. 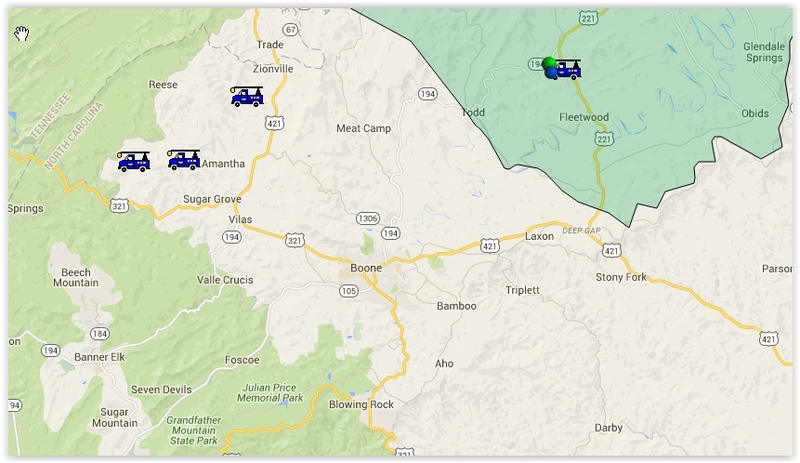 6:23pm Monday July 11 – Power outages are down to 13 in Watauga. 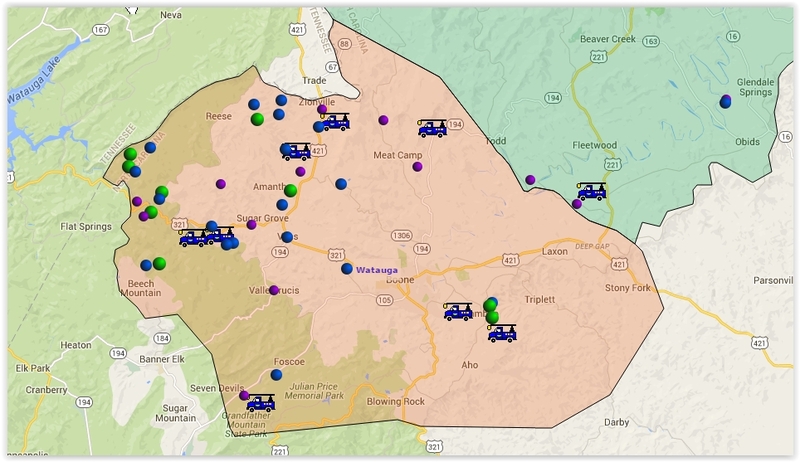 3:53pm Monday July 11 – Blue Ridge Electric and linemen from other power companies are working to complete the final 94 outages. More information about their efforts at this link. 2:43pm Monday July 11 – Power outages are down to 96 in Watauga. 1:51pm Monday July 11 – Power outages are down to 132 in Watauga. 11:55am Monday July 11 – Just before noon power outages are down to 238 in Watauga. 9:38am Monday July 11 – Power outages are down to 276 in Watauga. 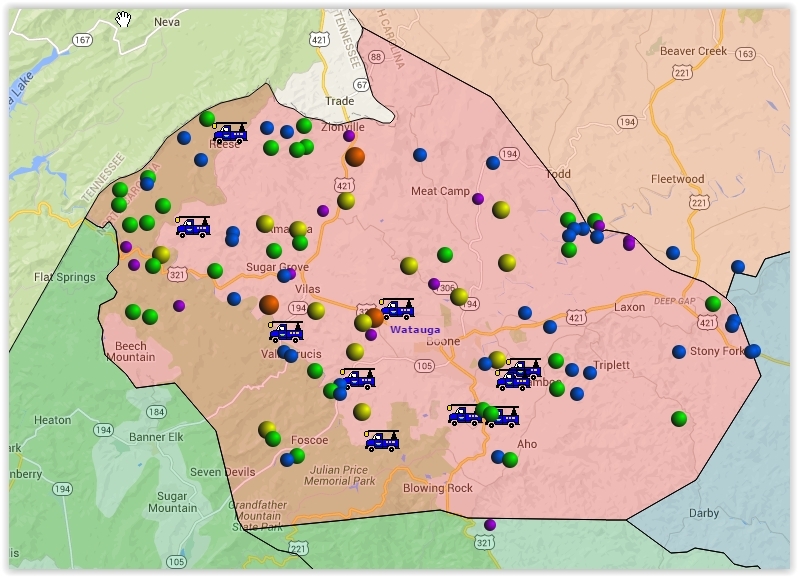 8:28pm Sunday July 10 – As of 8:28pm power outages are down to 559 in the Blue Ridge Electric member area. 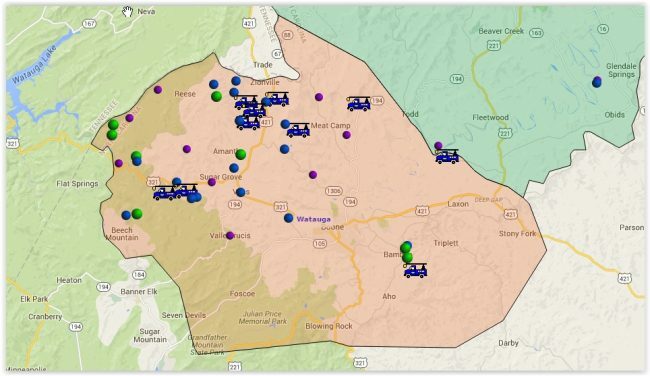 5:56pm Sunday July 10 – As of 5:56pm power outages are down to 933 in the Blue Ridge Electric member area. 3:30pm Sunday July 10 – As of 3:30pm power outages are down to 1,330 in the Blue Ridge Electric member area. 12:33pm Sunday July 10 – There has been great debate across social media regarding the issue of possible tornadoes in the High Country on Friday. Unfortunately some photos, and even videos, made the rounds quickly that were claiming to be tornado footage from the area. This was not only not the case but it also strains media outlets, such as this one, in correcting false information sent out by others. 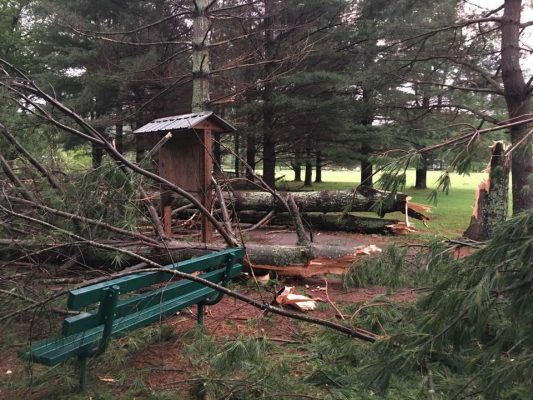 In the below video Brad Panovich, our weather partner, explains what transpired on Friday and the importance of taking weather watches and warnings seriously. 11:35am Sunday July 10 – Power outages in Watauga just under 2,000 for the first time since Friday. 8:34am Sunday July 10 – Blue Ridge Electric, and sister power companies, continue to work on outages. The company says in a social media post that, “Most of of the 3,000 outages remaining are in Watauga County, where over 100 linemen are working to reach and repair 152 different locations—many remote, mountainside areas difficult to reach by vehicle where broken poles must be replaced by hand.”They go on to say that it will be later today (Sunday) before significant progress is seen. 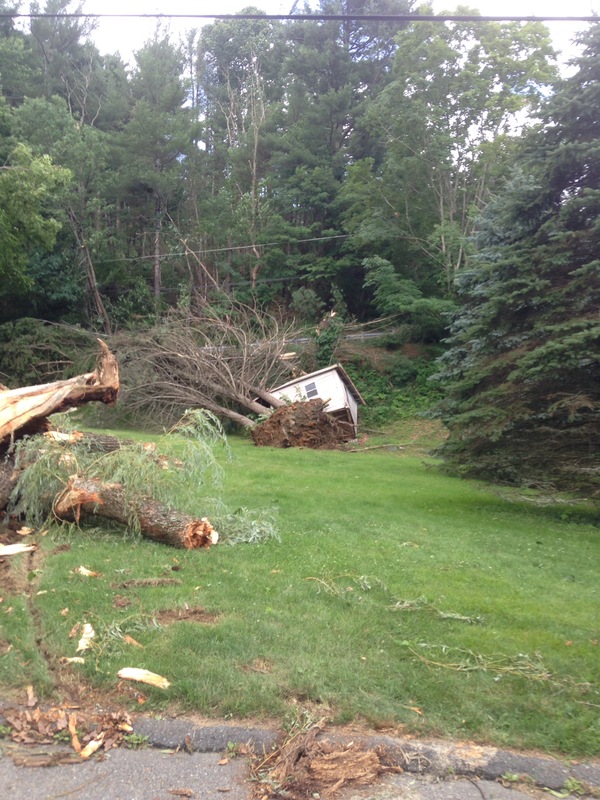 This is the largest multi-day storm outage since the Christmas ice storm of 2009. 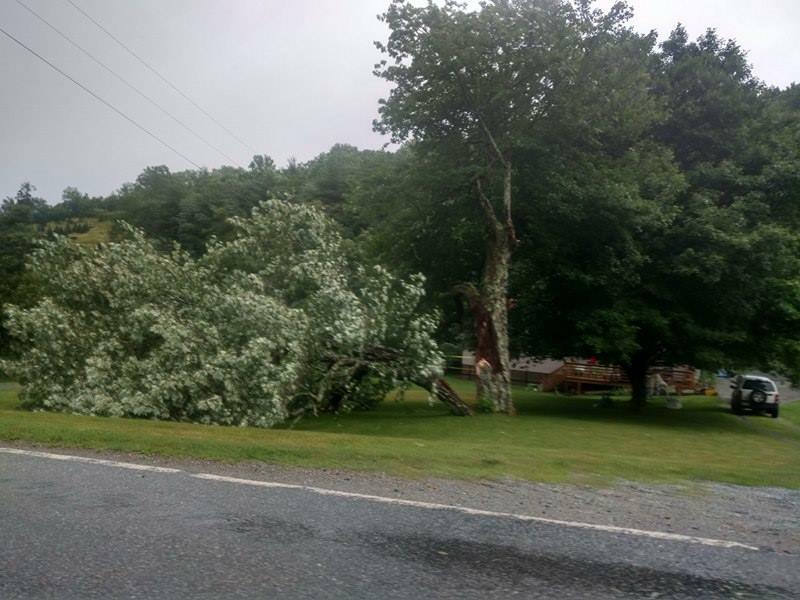 6:57am Sunday July 10 – Power outages down to 2,380 for Blue Ridge EMC members just before 7am Sunday morning. 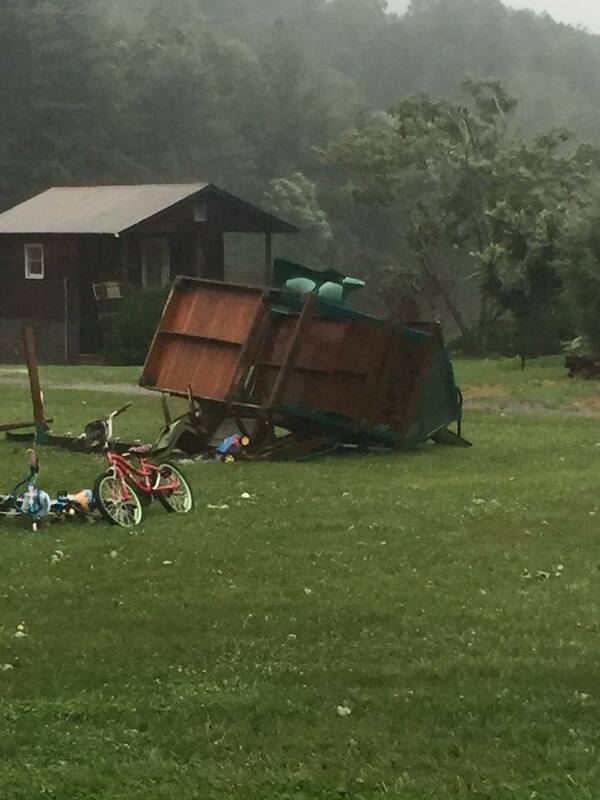 10:56pm Saturday July 9 – As of just before 11pm 2,477 Blue Ridge Electric members remain without power. Officials say it will be Sunday before all restoration may be complete. 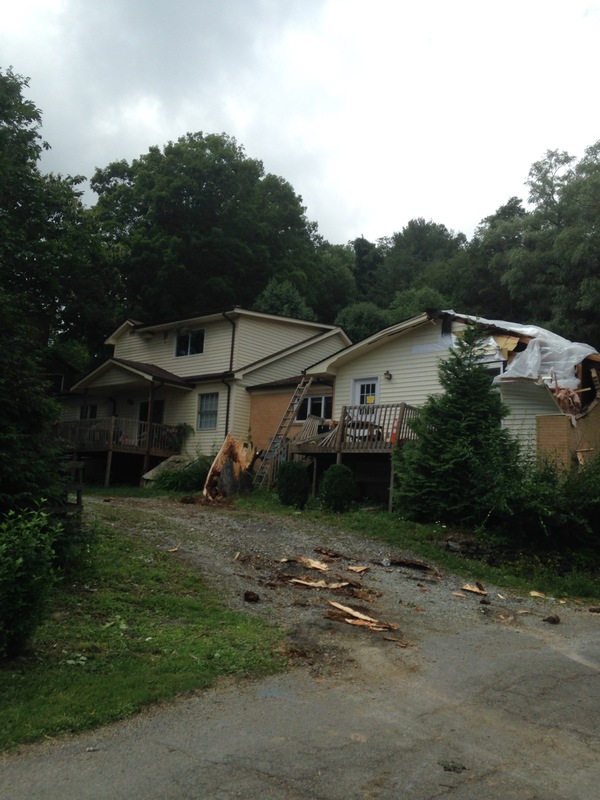 2:45pm Saturday July 9 – As of 2:40pm there remains 3,628 Blue Ridge Electric members without power. 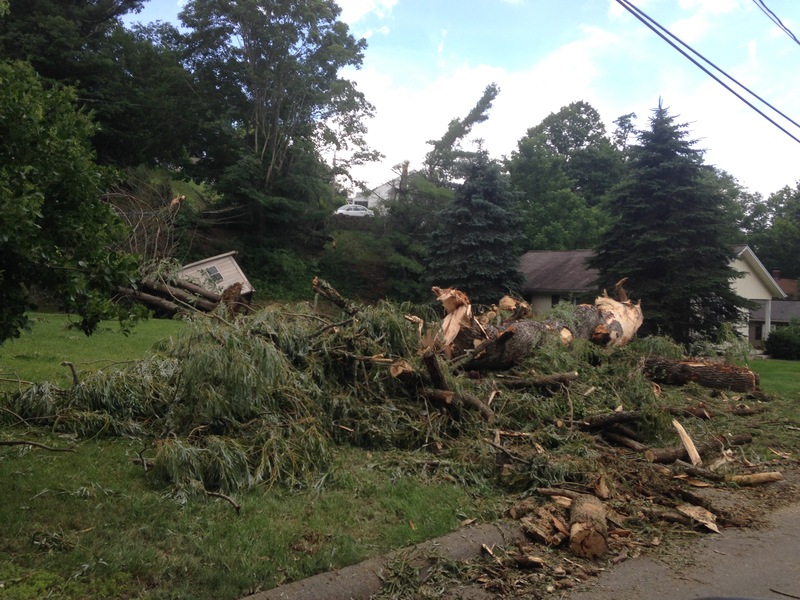 Damage captured on Straight Street in Boone. For more photos countywide see below. 11:40am Saturday July 9 – Power restoration efforts continue, as some residents are into hour 17 in the dark. 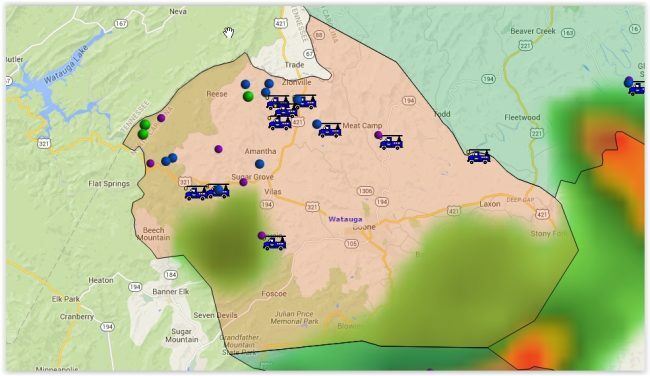 As of 11:45am just over 3,500 Blue Ridge Electric members across Watauga County were awaiting restoration. 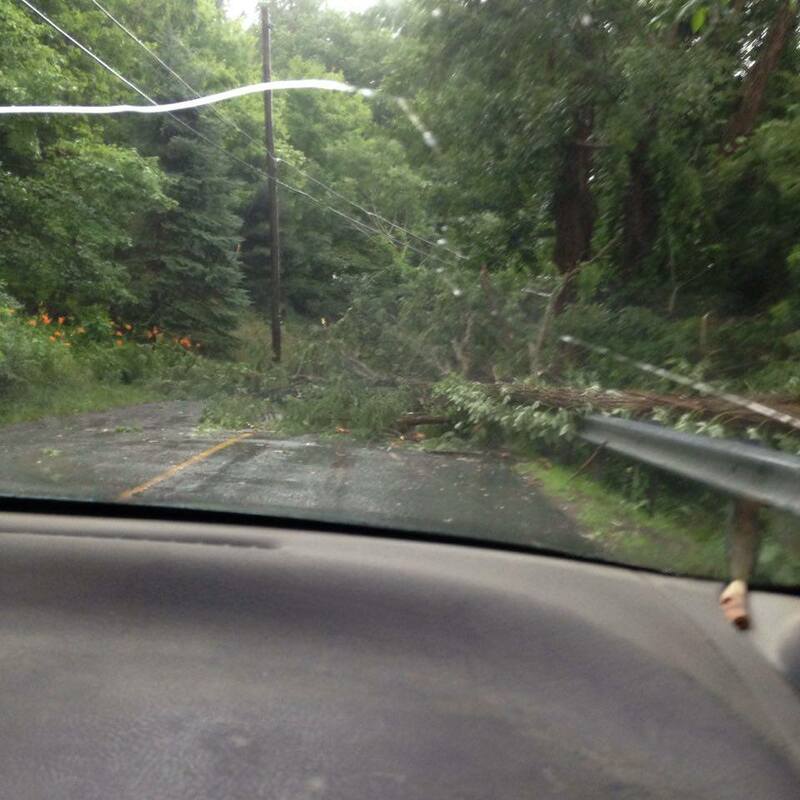 Down trees were still causing traffic issues, as seen in this tweet sent in from the Todd area. 8:40am Saturday July 9 – Electric crews have been back out since early morning to restore power across Watauga County. As of 8:30am there were still just over 4,000 Blue Ridge Electric members in the dark. 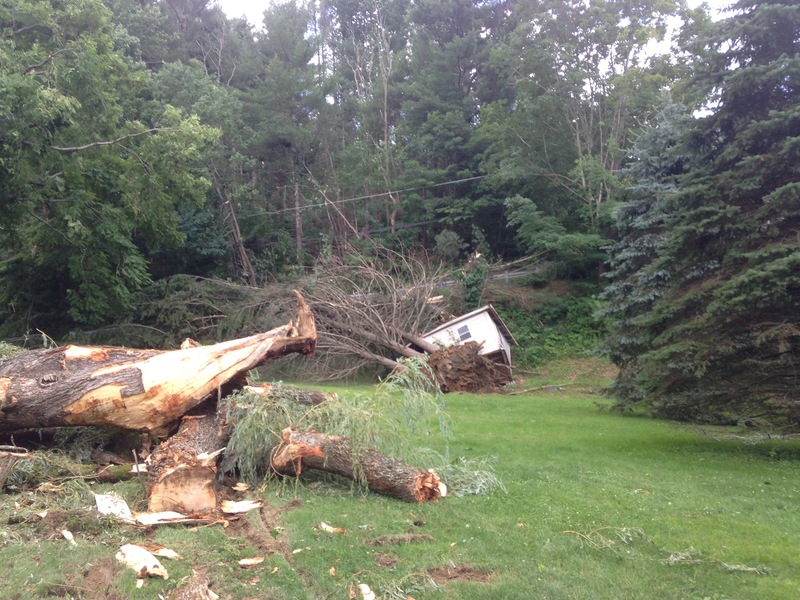 Blue Ridge EMC says that it could take all of Saturday for full restoration. Meanwhile motorist across the county are advised to use caution as there still remains a large number of trees and powerlines down countywide. Crews with the local fire departments have been out most of the night working on clearing down trees. Weather wise for today there remains a 30% chance of thunderstorms, with wind gusts up to 30 mph possible. 11:59pm July 8 – Multiple down trees and power lines lead to widespread power outages and damage across Watauga County on Friday. 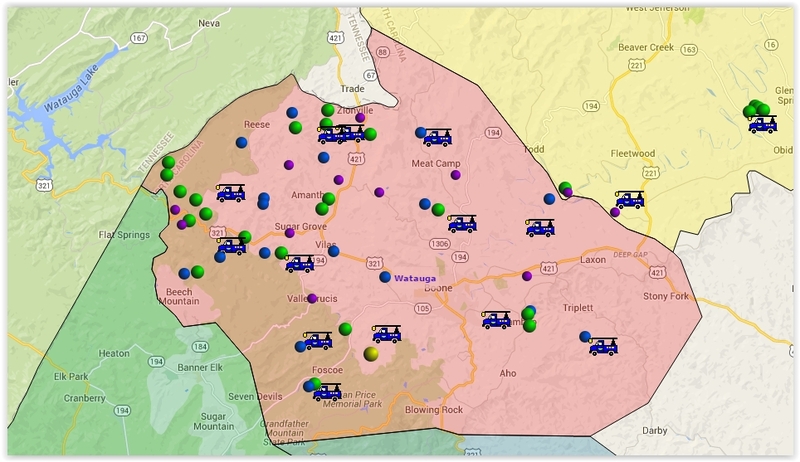 As electric crews from Blue Ridge EMC, along with sister co-op power companies, work through the overnight to restore power, as of midnight there were just under 4,500 members without service. Just after 8pm there were over 11,000 outages in the aftermath of the storm. 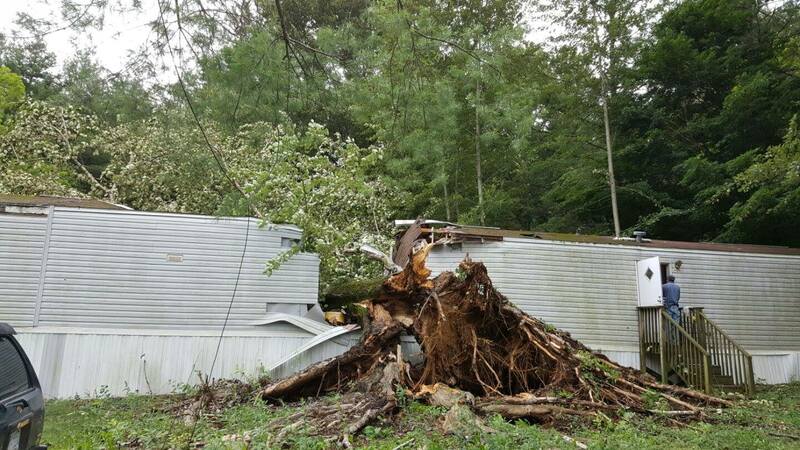 Though power crews were making good progress on restoration, Blue Ridge Electric did advise that it would be Saturday before everyone in their service area would be back on. The National Weather Service issued a Severe Thunderstorm Warning just after 6:30pm for Watauga. 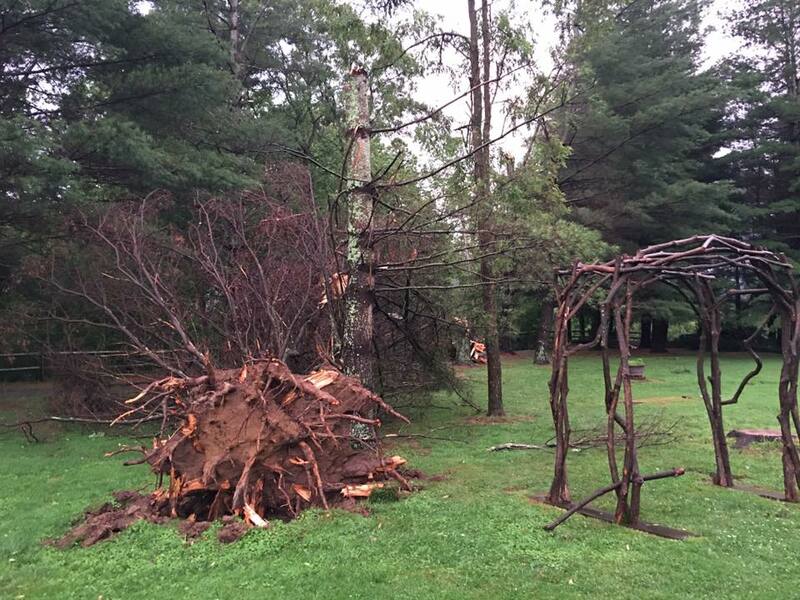 A peak wind gust of 63 mph was recorded at Watauga Medical Center at 6:55pm, followed by a 43 mph gust at 7:15pm. 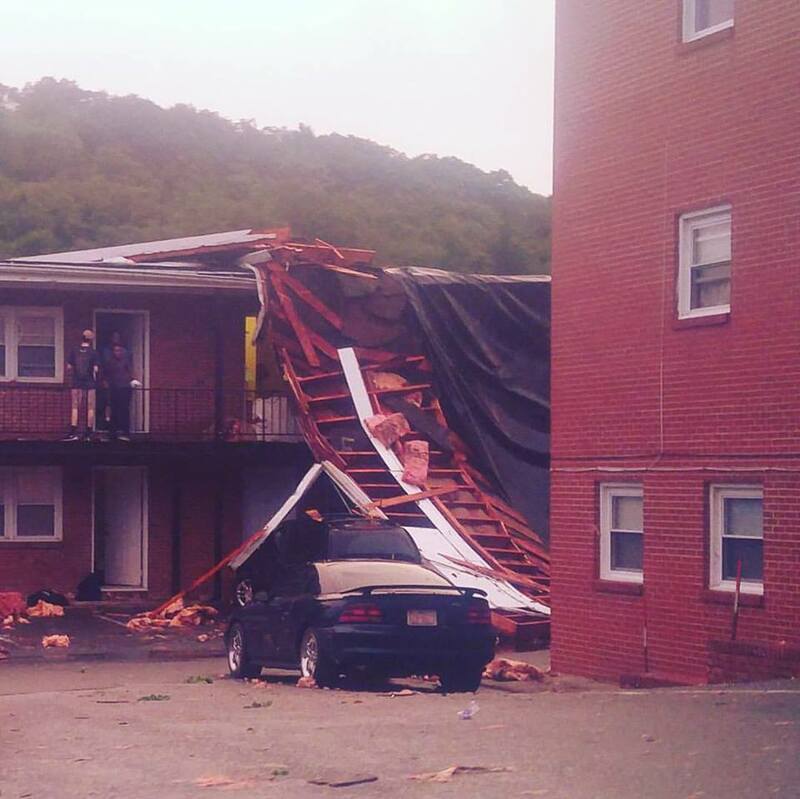 Heavy damage was sustained to an apartment complex in downtown Boone. A section of a roof was blown off of the Nathan's Walk complex. An emergency shelter was set up at Alliance Bible Fellowship for those impacted and needing assistance county wide. 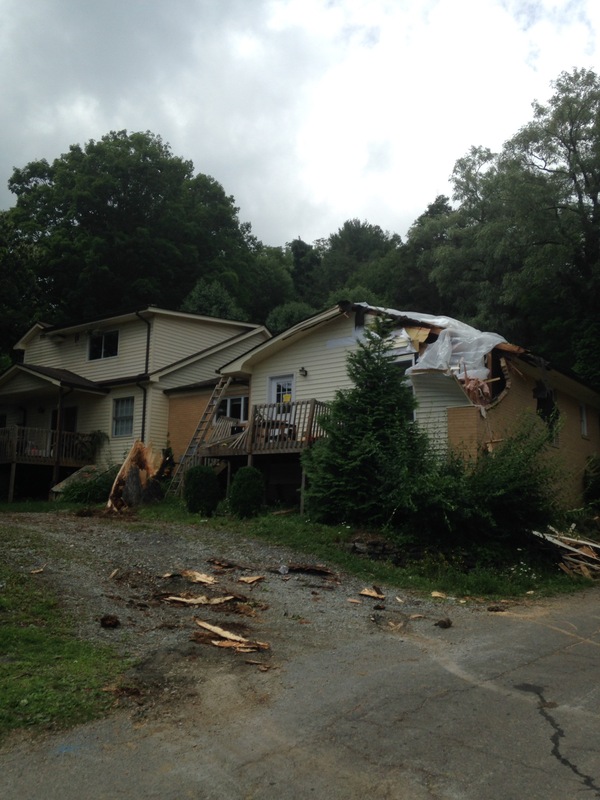 Damage throughout the county was reported into the Watauga Roads and Weather social media outlets. This story is developing and will be updated on Saturday as more reports become available. 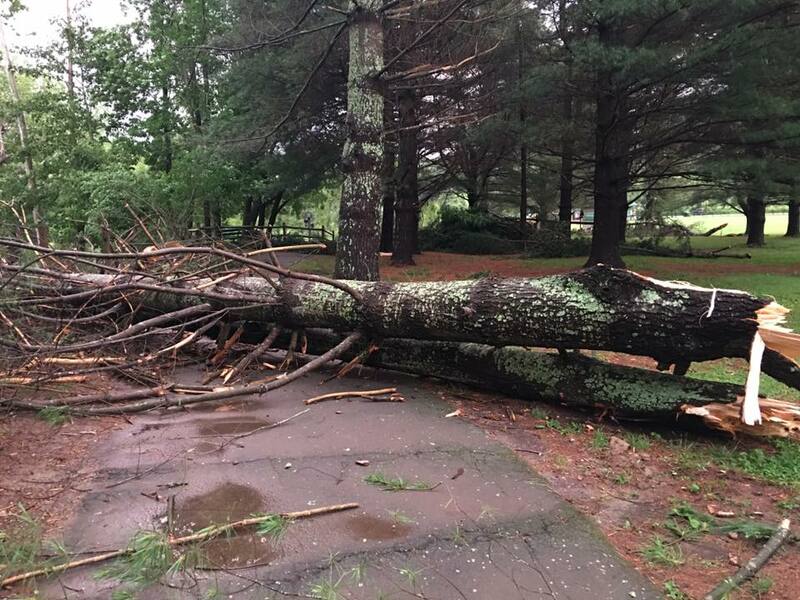 8:46pm Friday July 8 – A powerful storm that moved through the area Friday evening has lead to widespread power outages and damage. 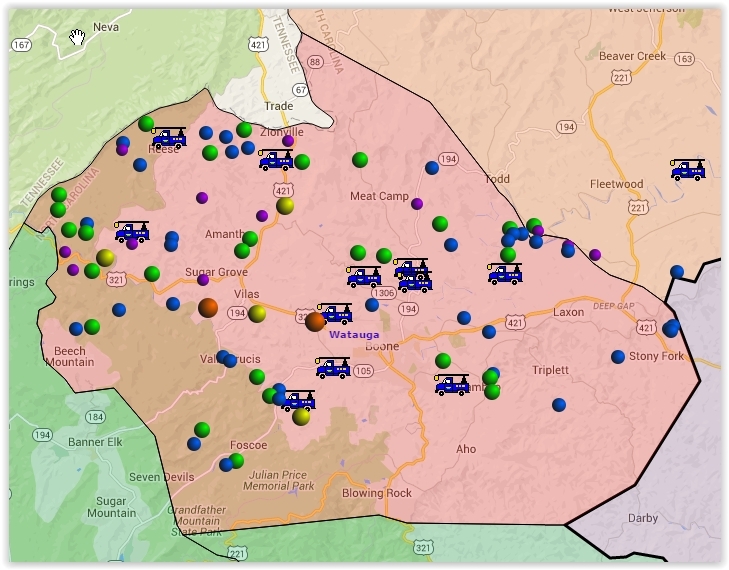 Over 11,000 outages in Watauga continue as of 8:43pm. The Thunderstorm Watch is cancelled. 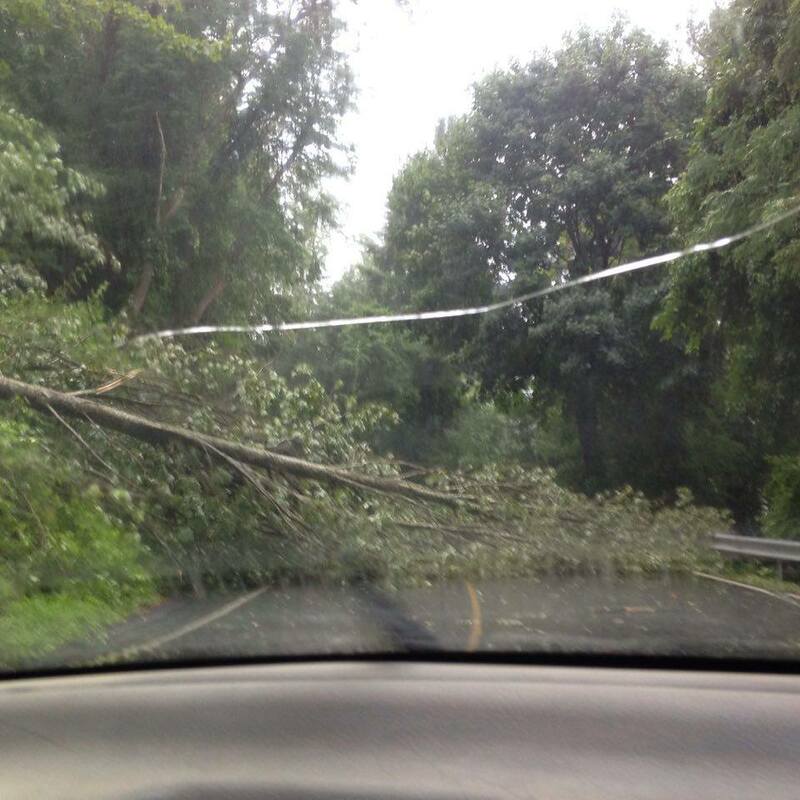 Use caution if traveling tonight, many down trees still. There is a Red Cross emergency shelter at alliance bible fellowship. Power outages under 6,000 in Watauga just before 10pm. Nearly 12,000 out just a couple of hours ago. 10:55pm – Crews with Blue Ridge Electric, all local fire departments, and various other agencies continue to work on outages and clearing roads at this hour. Scanner dispatches are still receiving calls of downed power lines and trees. Motorist are advise to avoid travel if at all possible. This story is still developing and updates to be continued.